Recipes and ideas from our in-town hilltop in Highlands NC. Check back regularly to see what's new! Combine almond flour, sugar & melted butter. Press into the bottom of an 8″X8″ baking pan. 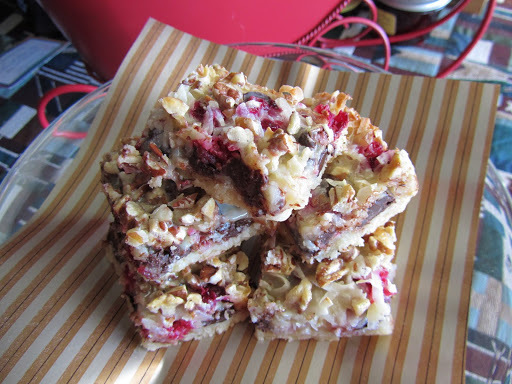 Layer with the chocolate, cranberries, coconut, and pecans. Pour the sweetened condensed milk over. Bake at 325 degrees for 30 minutes. Cool completely and cut into 16 squares. and a trip to the mountains!